It’s Pentecost. Why did God send his Spirit down upon the church like flames of fire? Was it just to help us get to heaven or did God want us to live in a particularly manner? James, which we’re currently working through, suggests the latter even though it has eternal implications. If you’d like to know more about this book, I’d encourage you to come to the Bible study on Wednesday night. You’ll even be fed a light dinner, which is all most of us need. [It] just shows that racism will always be a part of the world, part of America, Hate in America, especially for African-Americans, is living every day. It is hidden most days. It is alive every single day… No matter how much money you have, how famous you are, how much people admire you, being black in America is tough. In writing to the Romans, Paul tells us that God shows no partiality and in his letter to the Galatians, he notes God’s acceptance of all races. 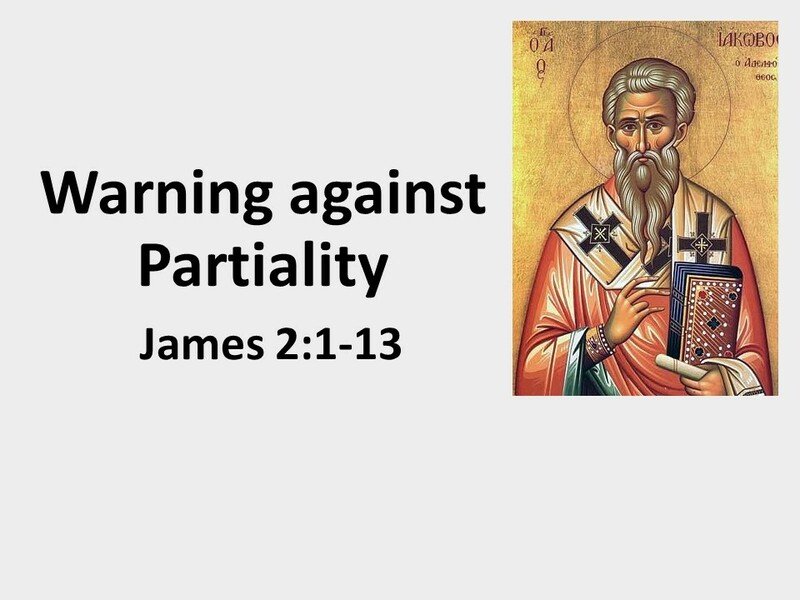 James, as he interprets the gospel into what it means when we put it into action through our lives, shows us how we often show partiality and why it’s wrong. It’s not a gospel value. Looking down on others—due to their race, their status in society, or any other reason—is wrong. 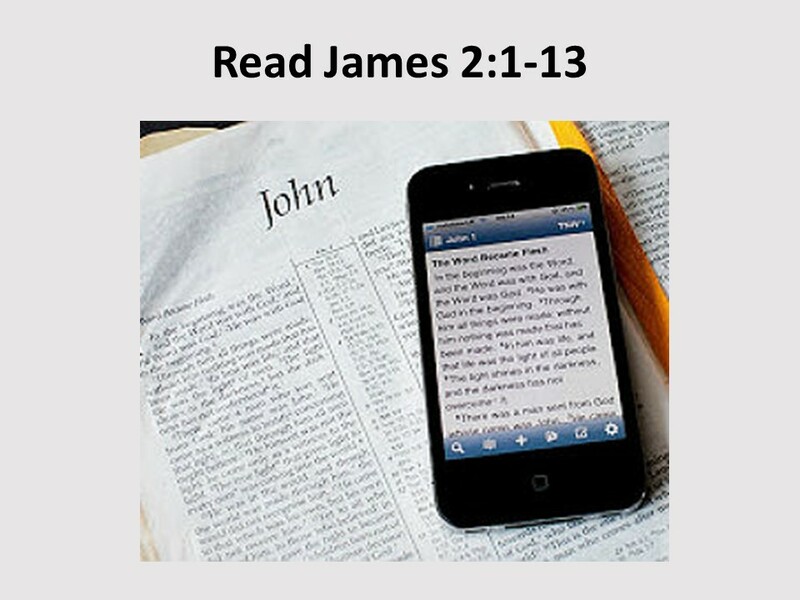 Let’s hear what James has to say as I read the first thirteen verses of the second chapter. 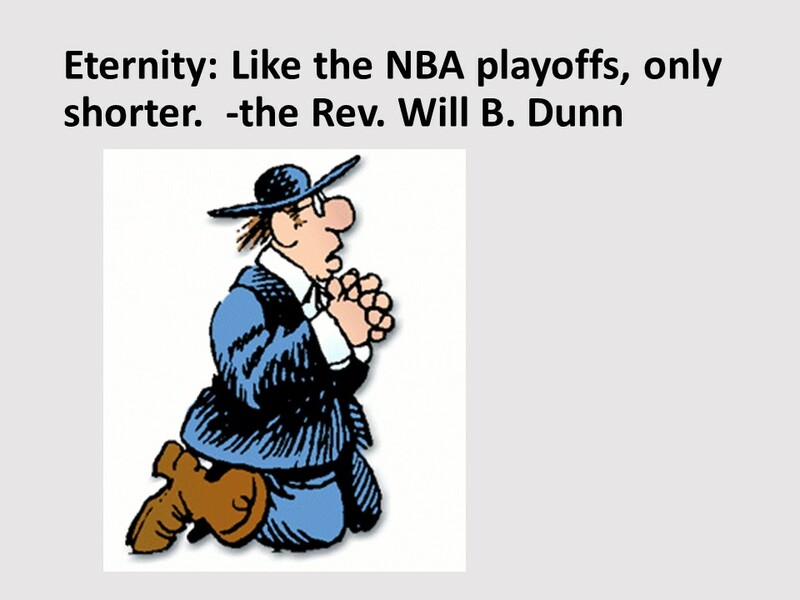 One of the last Kudzu strips to run, which was after the author’s death, featured the Reverend Will B. Dunn at a funeral. He’s standing behind a casket. He expresses sympathy to the family of the deceased who are grieving over the premature death of the one in the casket. Then he commends the deceased for not only talking the talk, but walking the walk, something James was concerned about as we’ve seen. But unfortunately, the good Reverend said, “he liked talking the talk on the cell phone while driving.” As we learn from Ecclesiastes, there’s a time and place for everything. 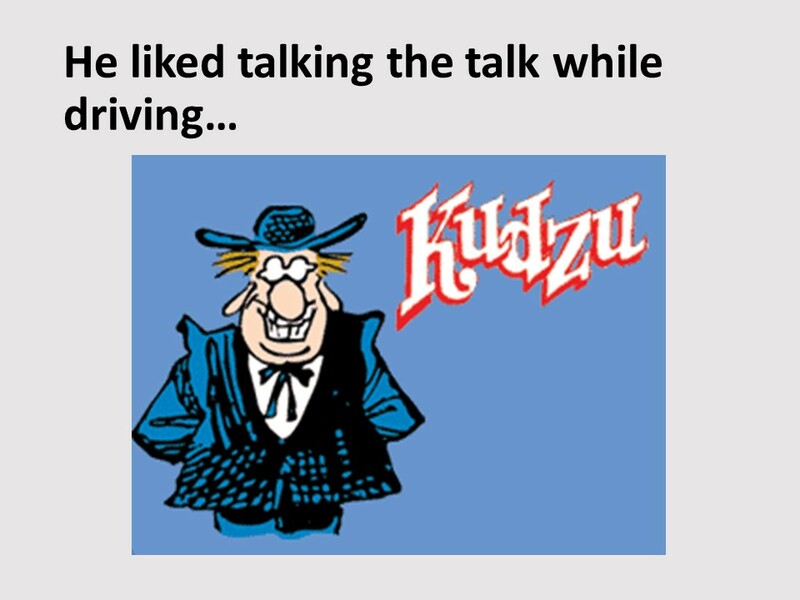 Talk the talk and walk the walk, just don’t talk the talk while driving. James tells the story of two visitors to church. 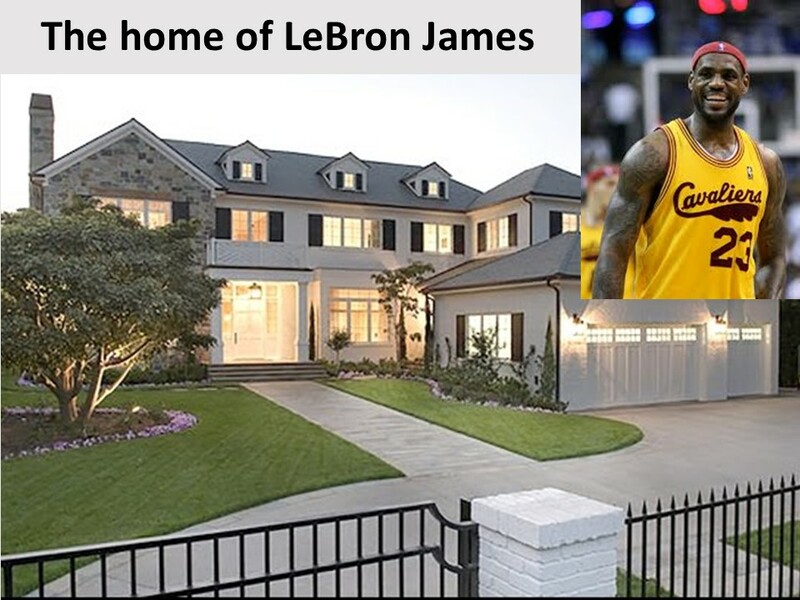 One rich, one poor. Those in the church shows favoritism to the one who was rich, offering him the best seat in the house, while sitting the poor guy on the back row. Now, 2000 years later, with microphones, central heat and air, that’s changed as the back row has become the preferred seat in the house. But that’s beside the point. Notice how both visitors are passive. They don’t say or do anything; instead it’s the actions of the congregation that James addresses. Don’t show favoritism, he scolds. You know, showing favoritism can destroy a family. If a parent treats one child with contempt, while lavishing favors upon another, that family is headed for trouble. Parents in such cases create fractures within their family and it’s likely both children will grow up and have problems in life. Such fractures may even continue to grow and create disharmony for generations. And the church is a family. If we treat people differently based on how they dress or look, what kind of job they have, how they speak, or the color of their skin, we’re showing favoritism and risk creating fractures within the church. 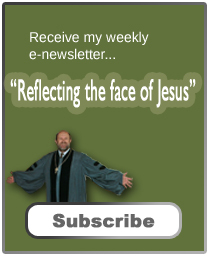 James begins this section with a rhetorical question: “With your acts of favoritism do you really believe in our Lord Jesus Christ?” He wants his readers to ponder this question. It’s easy to say, “Yes, we believe in Jesus.” But do we act like it? This question sets James up for giving an example. You’d think if there was a place we treated people well, it would be during a worship service, but James knows that Christians are not always doing what they’re supposed to do. We sometimes fall down on the job, favoring one person over another. Play video: And the sign said, ‘Everyone welcome, come in, kneel down and pray.’ But when they passed around the plate at the end of it all, I didn’t have a penny to pay. So I got me a pen and a paper and I made up my own little sign. I said, ‘Thank you Lord for thinkin’ of me, I’m alive and doin’ fine. The guy in the song is welcomed into church even though he’s uncomfortable not having anything to put into the plate. But thankfully, he feels accepted by God and that’s what’s important. Our job is to welcome and love people and help them connect to the Lord. James bases his teaching on Jesus’ golden rule, “Do unto others as you’d have them do unto you.” And Jesus drew upon Moses teachings when he gave this rule. This isn’t a teaching limited to Christianity or even Judaism. Many other religions have it. It’s a well-known principle of ethics, but do we live by it? In James day, I am sure there were still people alive who could remember how Jesus treated everyone with respect and kindness. They recalled how he attended dinners with the affluent and how he also ate with sinners. Jesus demonstrates this rule in his life. And the foundation of this rule actually goes back to creation, where God creates us, male and female, in his image. If we truly believe that we’re all created in the image of God, and if we are sincere in our desire to follow God’s teachings, we must honor and respect everyone. There can be no exceptions. Even when people do things we don’t like or that which we disagree with, we have to respect them. We may not like what they do but we must remember they’re created in God’s image. Remember, too, Jesus tells us to pray even for our persecutor. Even when people break God’s law, when they are clearly sinners, we still have to respect them, for we know that we too are sinners. God’s been gracious to us and for us to imitate God, we too must show grace. And besides, as Jesus himself makes clear, he came to seek the lost, those in need, those caught in sin, those for whom no one cares. As Jesus’ ambassadors in the world, we’re to continue his work by reaching out in his name to all people. 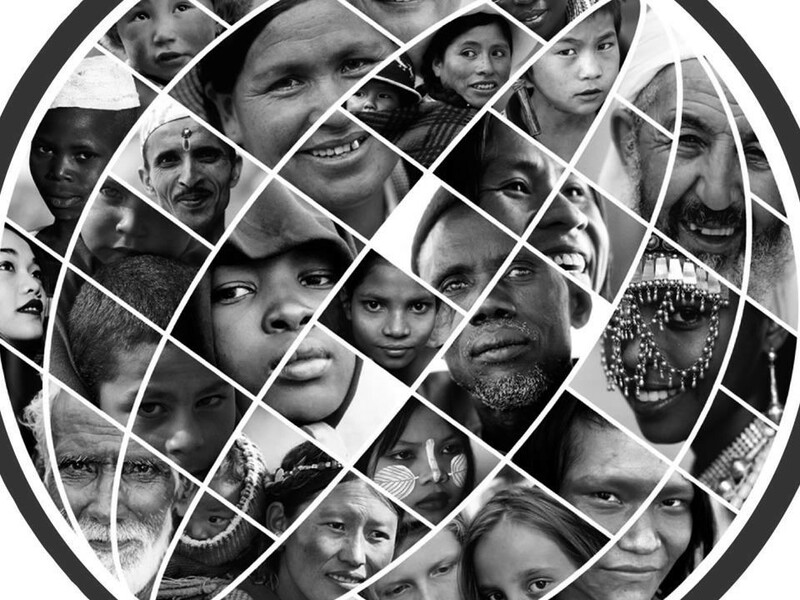 If we only try to reach or relate to those who look like us, we’ll fail to carry out the Great Commission. Furthermore, if we only reach out to those who are like us, our church will become so homogeneous that we’ll be so boring that none of us will want to be here. So let’s ask ourselves, are we friendly? Most of us would say, yes. Many of our visitors feel that way, too, but then most of them are like us. Others, who don’t fit in, may feel we’re not friendly. They probably won’t even make it to our front door. How do we reach them? Probably outside the church (and outside our comfort zones) as we not only talk about the gospel but through our lives show them the difference Jesus makes. James draws on Jesus’ frequent analogy about the last being first, along with Gods’ concern in the Old Testament for the poor and marginalized, when he speaks of God’s choosing the poor to be rich in faith and heirs of the kingdom. God’s economy works differently than ours. As humans, we look to material things to judge or rate importance, God looks at the heart. What’s in here (the heart) is what’s important. This section ends with James speaking about the law, which reiterates what he’s just said about not showing partiality. We’re to love our neighbors as ourselves but if we show partiality, we’ve broken that command. James makes clear that breaking one commandment is the same as breaking them all. And since we’re all guilty of breaking the law, he encourages us to act like those about to be judged. We’re back to this theme of humility. We need to remember that at the time of judgment, we’re not sitting in the jury box, we’re at the table for the defense. But before reaching that table before the judge, we should take heed James words that there will be no mercy for those who do not show mercy. James’ comment is a lot like that phrase Jesus slipped into the prayer he taught: forgive our sins as we forgive others.” If we want to be godlike, we have to show mercy. 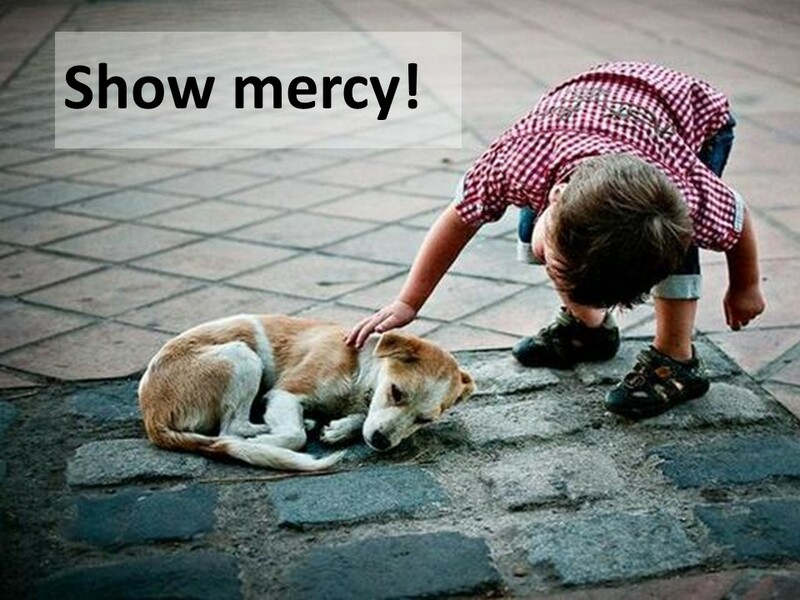 If we want to experience mercy, we must be merciful. And in the end, our hope is in James last phrase, for mercy triumphs over judgment. Be gentle, be gracious, show mercy, and accept everyone. Do these things. That’s what James is saying. Amen. Romans 2:11 and Galatians 3:28. Dough Marlette, Kudzu, July 24, 2007. (Marlette died a month earlier in a car accident during a rain storm in Mississippi. His strip continued to run for a couple of months with panels already completed. Matthew 22:39, Mark 12:31, Luke 10:17 and Leviticus 19:18. Matthew 9:10-13, Mark 2:13-17, Luke 14:1, etc. Genesis 1:27 and Matthew 5:48. James draws upon the imitatio Dio. Dan G. McCartney, James” Baler Exegetical Commentary on the New Testament. (Grand Rapids: Baker, 2009)136. Matthew 9:13, Luke 19:10, etc.